Create bright posters to attract customers and communicate the troop’s goals. Be on time! The businesses who agree to host cookie booths often promote their cookie booths to their customers. Being timely isn’t only an important lesson for the girls, but it will also keep you from missing out on eager customers. Wear your uniform so people recognize you as Girl Scouts. If you don’t have a uniform, a Girl Scout T-shirt is great too. You could even make one as a team! Practice makes perfect. Let the girls practice setting up their booth and take turns playing the role of the seller and the customer. This can help girls build their confidence, practice their pitches and test their cookie knowledge. Create a Facebook event. This is a great way to promote your cookie booth to family and friends. You could even see if your host would share it on their page too. Check out cookie costumes from the regional Girl Scout Center nearest you. These are a fun way for the girls to be attract customers and get a few laughs. 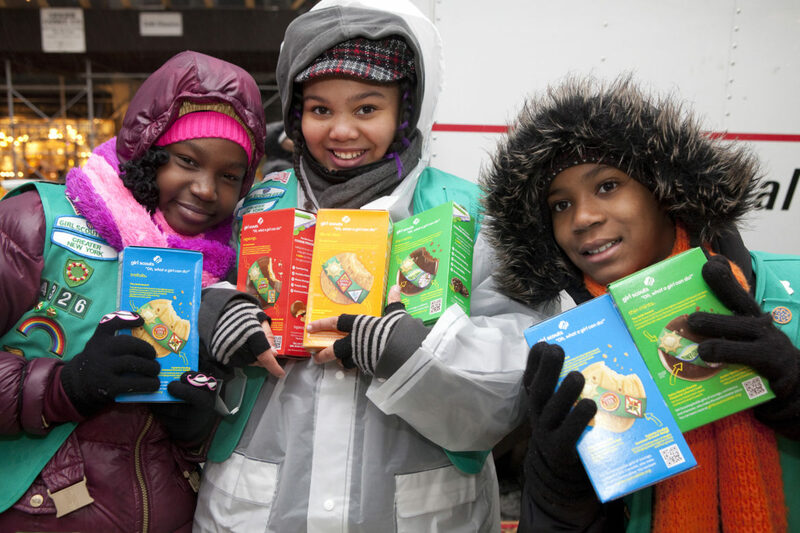 Promote Operation Cookie or Troop Gift of Caring to your customers. First, let them buy cookies for themselves and then offer them the opportunity to contribute to Operation Cookie or Troop Gift of Caring. This benefits everyone! The girls increase their sales, the customer gets cookies AND they get the chance to share with others.